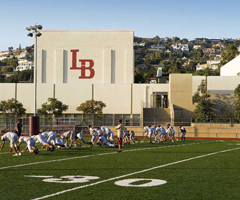 On behalf of the Laguna Beach Unified School District, welcome to Laguna Beach High School, home of the Breakers. 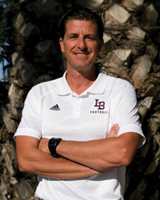 My name is Dr. Jason Allemann and I have been principal at Laguna Beach High School since 2017. This is my 22nd year as an educator and in my previous roles have served as principal for Dana Hills High School, Katella High School, and Ball Junior High School. I received a Doctorate of Education in Educational Leadership from the University of Southern California and a Master’s Degree in Social Work from California State University, Long Beach. I trust your time on this website will reflect some of the remarkable accomplishments, programs and opportunities offered to our students. You are also encouraged to contact me or the LBHS support team if you have a need for further information at 949-497-7750. Education is a valuable resource that, once obtained, can never be taken from the learner. Regardless of where we as learners come from, we all have the opportunity to acquire an education and access to learning experiences. Learning can happen with the right supports and connections with students. Connecting and supporting students helps create an optimal learning environment and access to a great resource...a student's education.